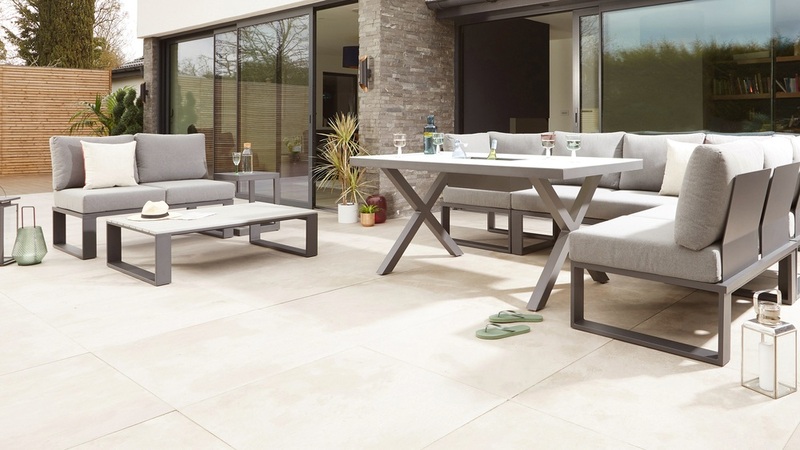 0% finance available on all garden furniture orders over £750. 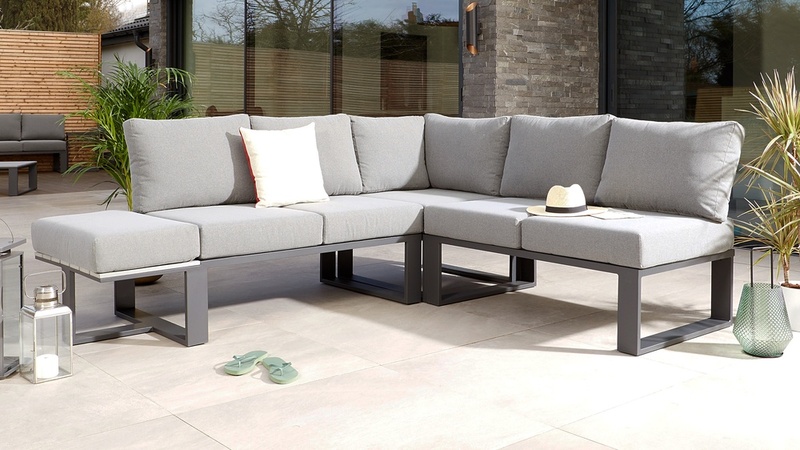 If you find yourself moving your seating arrangement to suit different situations, you need the Savannah 2 Seater Bench. 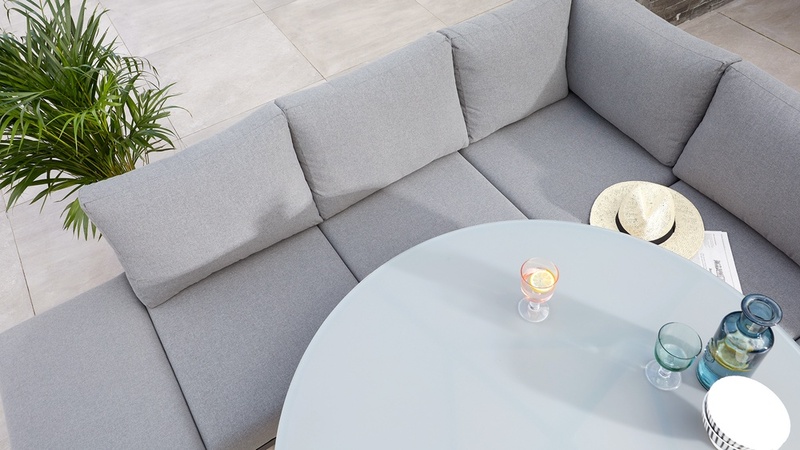 Our Savannah range of fully modular seating is exclusive to Danetti. 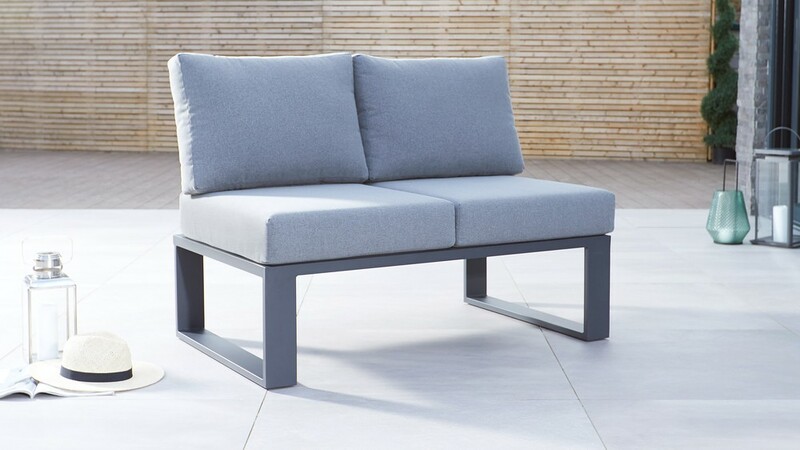 We’ve designed the 2 seater bench to coordinate with other modules so you can make your garden bench set as big as you like! 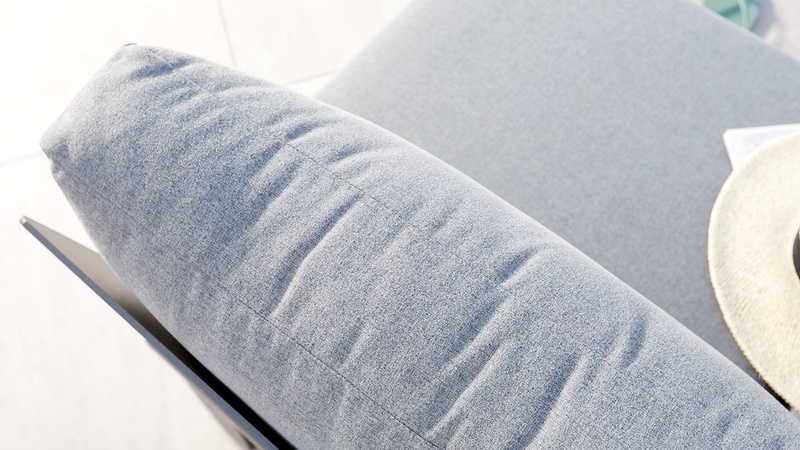 When our designers were creating the Savannah 2 seater sofa, comfort and style were at the forefront of their minds. 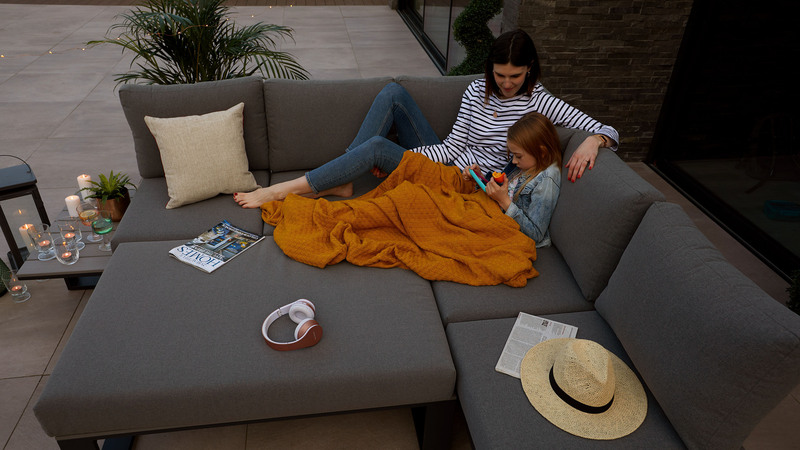 This is clearly visible in the generous and sumptuous seating cushions, which means you can lounge back and really enjoy those long summer days. To keep the modules in position and make sure they don’t slip away from each other, we’ve included heavy-duty Velcro straps to connect the pieces together. This means you can keep the modules in place and don’t need to keep repositioning them. The aluminium frame for the Savannah is finished in a grey powder coat. This creates a sleek matt look that's easy to clean and maintain. A powder coat can be seamlessly matched to our range of garden dining tables to create a coordinated and designer look. 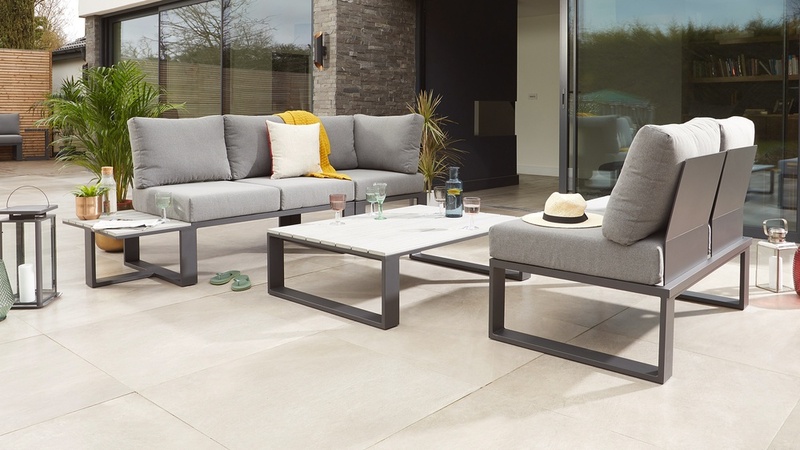 The cushions on the Savannah 2 seater sofa are kept in place with an anti-slip mat, so the sofa cushions don't move around but can be quickly and easily removed for cleaning and storage. 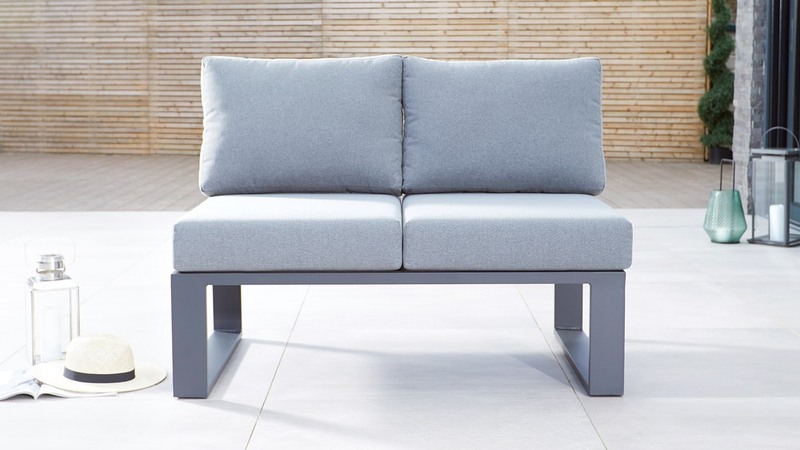 The frame of the Savannah 2 Seater Bench is made from aluminium. 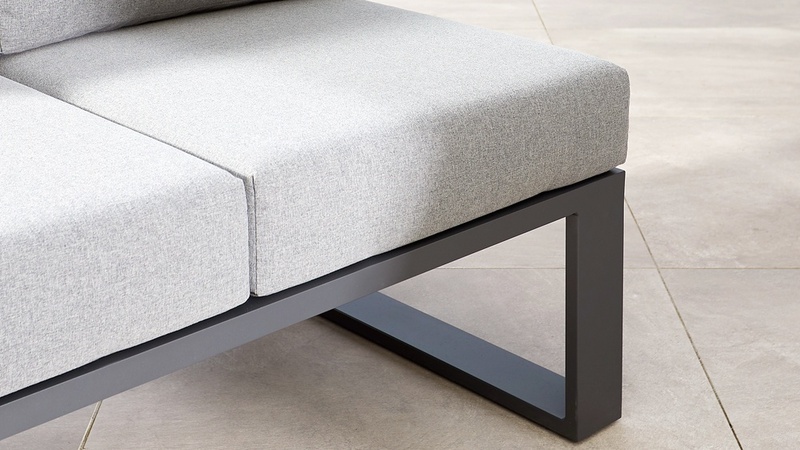 Aluminium is inherently non-rusting and lightweight, so you can easily pick the bench up and manoeuvre it. This is a key feature when it comes to a modular system as you’ll be moving it around more frequently. 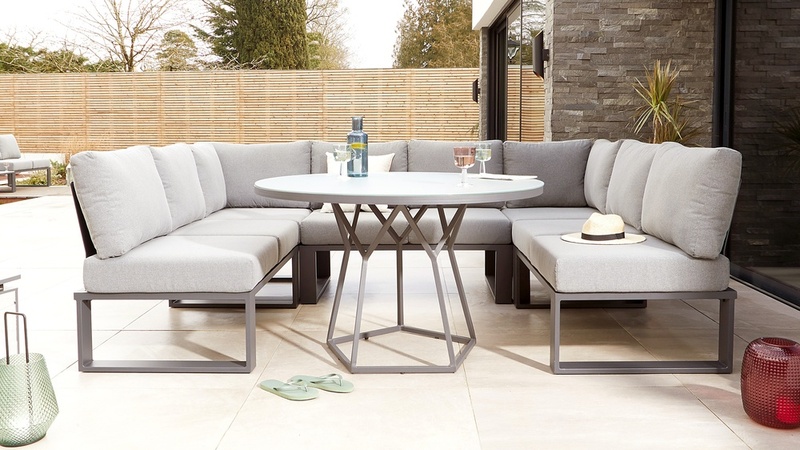 Add the Savannah Modular Corner Seat and Savannah Single Modular Seat to configure your garden dining area. Or team the sofa with the Savannah Coffee Table which doubles up as a footstool, creating a comfy day bed.